LOCATION.--Lat 40°21'53", long 74°56'56" referenced to North American Datum of 1983, Lambertville City, Hunterdon County, NJ, Hydrologic Unit 02040105, on the downstream side of the bridge on Bridge Street (State Route 179) at Lambertville, 600 ft upstream of the Swan Creek, and 1.1 mile downstream of the bridge on U.S. Route 202. PERIOD OF RECORD.--Continuous-record discharge station, water years 1897-1906. Annual maximum gage, water years 1936-61, 2004-08. Continuous-record gage-height station, water years 2009 to current year. GAGE.--Water-stage recorder with telemetry. Datum of gage is 49 ft above NGVD 1929, by levels. Datum of gage between 1898 to 1908, 46.36 ft above NGVD of 1929; datum of gage from 1936 to 2003, 0.11 ft above NGVD of 1929. Online peaks have been adjusted to current datum. EXTREMES FOR PERIOD OF RECORD.--Maximum gage height, 24.16 ft, Aug 20, 1955. NOTICE.--The air temperature data for this station are temporary and will only be displayed for 120 days. Although the instrumentation is calibrated at least once/year, the temporary classification means that documented routine inspections and other quality assurance measures are not performed that would make the data acceptable for archival, retrieval, or future use in general scientific or interpretive studies. 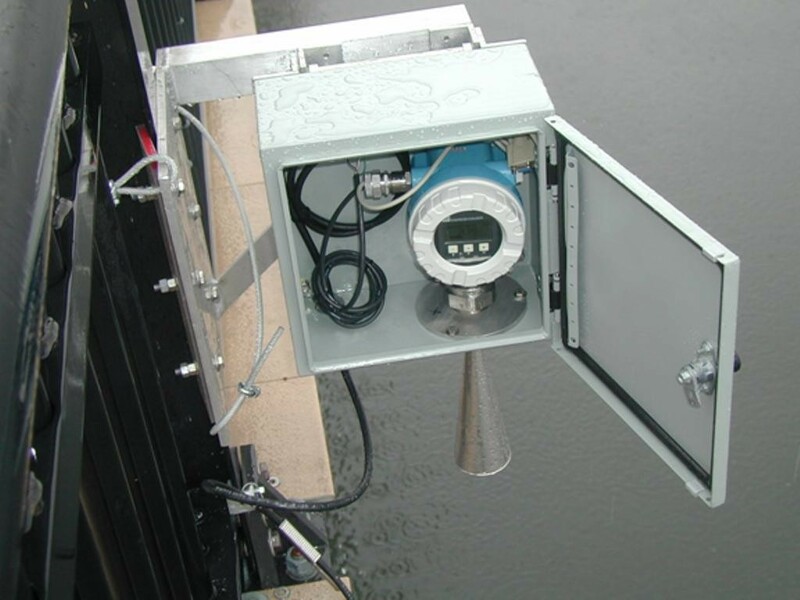 NEW: Flood Inundation Maps Now Available for this Gage. National Weather Service flood stage for this gage is 13.0 ft. Forecasts for this gage are issued by the National Weather Service routinely year-round. Forecast information is available here.